Barcelona ">[bəɾsəˈlonə], Spanish: [barθeˈlona]) is the capital city of the autonomous community of Catalonia in the Kingdom of Spain, as well as the country's second most populous municipality, with a population of 1.6 million within city limits. 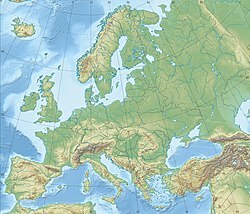 Its urban area extends beyond the administrative city limits with a population of around 4.7 million people, being the sixth-most populous urban area in the European Union after Paris, London, Madrid, the Ruhr area and Milan. It is the largest metropolis on the Mediterranean Sea, located on the coast between the mouths of the rivers Llobregat and Besòs, and bounded to the west by the Serra de Collserola mountain range, the tallest peak of which is 512 metres high. Barcelona (/bɑːrsəˈloʊnə/, [bəɾsəˈlonə], [barθeˈlona]) is the capital city of the autonomous community of Catalonia in the Kingdom of Spain, as well as the country's second most populous municipality, with a population of 1.6 million within city limits. Its urban area extends beyond the administrative city limits with a population of around 4.7 million people, being the sixth-most populous urban area in the European Union after Paris, London, Madrid, the Ruhr area and Milan. 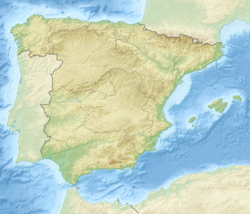 It is the largest metropolis on the Mediterranean Sea, located on the coast between the mouths of the rivers Llobregat and Besòs, and bounded to the west by the Serra de Collserola mountain range, the tallest peak of which is 512 metres (1,680 feet) high. Founded as a Roman city, in the Middle Ages Barcelona became the capital of the County of Barcelona. 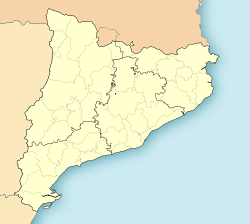 After merging with the Kingdom of Aragon, Barcelona continued to be an important city in the Crown of Aragon as an economic and administrative centre of this Crown and the capital of the Principality of Catalonia. Besieged several times during its history, Barcelona has a rich cultural heritage and is today an important cultural centre and a major tourist destination. Particularly renowned are the architectural works of Antoni Gaudí and Lluís Domènech i Montaner, which have been designated UNESCO World Heritage Sites. The headquarters of the Union for the Mediterranean is located in Barcelona. The city is known for hosting the 1992 Summer Olympics as well as world-class conferences and expositions and also many international sport tournaments. Barcelona is one of the world's leading tourist, economic, trade fair and cultural centres, and its influence in commerce, education, entertainment, media, fashion, science, and the arts all contribute to its status as one of the world's major global cities. It is a major cultural and economic centre in southwestern Europe, 24th in the world (before Zürich, after Frankfurt) and a financial centre. In 2008 it was the fourth most economically powerful city by GDP in the European Union and 35th in the world with GDP amounting to €177 billion. In 2012 Barcelona had a GDP of $170 billion; it is leading Spain in both employment rate and GDP per capita change. In 2009 the city was ranked Europe's third and one of the world's most successful as a city brand. In the same year the city was ranked Europe's fourth best city for business and fastest improving European city, with growth improved by 17% per year, and the city has been experiencing strong and renewed growth for the past three years. Since 2011 Barcelona is a leading smart city in Europe. Barcelona is a transport hub with the Port of Barcelona being one of Europe's principal seaports and busiest European passenger port, an international airport, Barcelona–El Prat Airport, which handles above 40 million passengers per year, an extensive motorway network and a high-speed rail line with a link to France and the rest of Europe.